Shafer…Power! Featured in Watching Seeds Grow | Shafer...Power! Several months ago we were contacted by Peter Greer and his son, Keith, after they discovered our blog while doing some research on young entrepreneurs. Keith, a 9 year-old entrepreneur himself, wanted to interview the kids and I to learn more about our adventures in entrepreneurism for his upcoming book. Since we had been doing our own series of interviews for the blog, we jumped at the opportunity to sit on the other side of the table. Once Keith finished interviewing Owen, his father, Peter, took the time to ask me about my experiences with Shafer…Power! 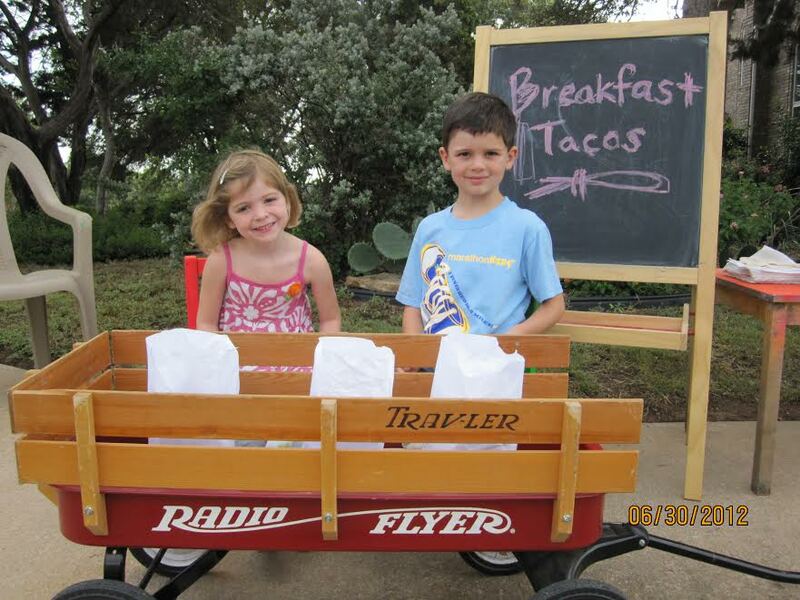 I talked about the joys of learning together as a family and some of the fun experiences we had such as hosting a coffee stand and selling breakfast tacos from our Radio Flyer wagon. We also discussed the motivation behind Shafer…Power!, which was initially to have some fun together as a family, but also became a vehicle for instilling important values in the kids such as hard work, creativity and perseverance…to name a few. Fast forward three months..and we received a surprise package in the mail. Keith and Peter’s book had arrived and it was titled, Watching Seeds Grow: A Guide To Entrepreneurship For Parents and Children. And to take it a step further, chapter four was titled, Owen and Will’s Buddy Bars. All of us were all in awe that a story about our adventures had been captured in a book intended for people just like us. Go Shafer…Power! “Does this mean we’re famous?” was the first question I remember answering as we paged through the book. Watching Seeds Grow is a book about the abbreviated journey of four young entrepreneurs and it acts as a guide for any creative child (or any child, for that matter) who might be interested in learning more about entrepreneurship. And it’s written in a format that is easy to understand by both parents and the emerging entrepreneur. For example, it includes a section with “10 Steps to Unleash Your Young Entrepreneur,” which is a huge help for any parent supporting a young entrepreneur. It also includes a comprehensive reference section with questions, forms and ideas for your child to consider as he prepares to launch his business. Your child could literally launch a business using only this book.